Sir Martin Sorrell has repeated denials that he misused WPP funds, and that he visited a prostitute. The allegation first came to light in a report by the Wall Street Journal. Sorrell said repeatedly that the claims are “not true” in an on-stage appearance at the Cannes Lions advertising festival. He was separately accused of bullying members of his staff, which he also denied. Martin Sorrell has again refuted allegations that he bullied his staff, misused company cash, and visited a prostitute in Mayfair, claims which caused him to resign as CEO of WPP earlier this year. A series of press reports, including in the Financial Times, detailed allegations that the 73-year-old had bullied junior staff, created a “toxic environment” and “fear culture” at the advertising company. A separate article in the Wall Street Journal said that the board of WPP was investigating allegations that Sorrell had used company money to pay a prostitute. It did not specify who made the original allegation. Sorrell denied those claims to journalist Ken Auletta at the Cannes Lion advertising festival event, which was attended by Business Insider. Auletta: Let me bring up, if I may, the second that was the basic accusation made, that you used a not significant amount of corporate funds, relying on petty cash rather than credit cards for inappropriate spending. Sorrell: That’s been dealt with too, specifically – it was strenuously denied. Auletta: So why, why not speak to that, they made some pretty dramatic – the FT and the Wall Street Journal both said that you were engaged with a prostitute. Sorrell: And we dealt with that, by strenuously denying it. Auletta: So it’s not true? Sorrell also strenuously denied bullying people who worked for WPP, though he did accept that he is a “demanding” person to work for. “Am I an easy person to deal with? The answer is no. Am I demanding? Yes. So I don’t think that was fair. “I think I demanded high standards but I think if you look at the overall record of me – I don’t know who the FT talked to when they claimed they spoke to about 20, 25 people, but maybe they spoke to the wrong 20, 25 people. 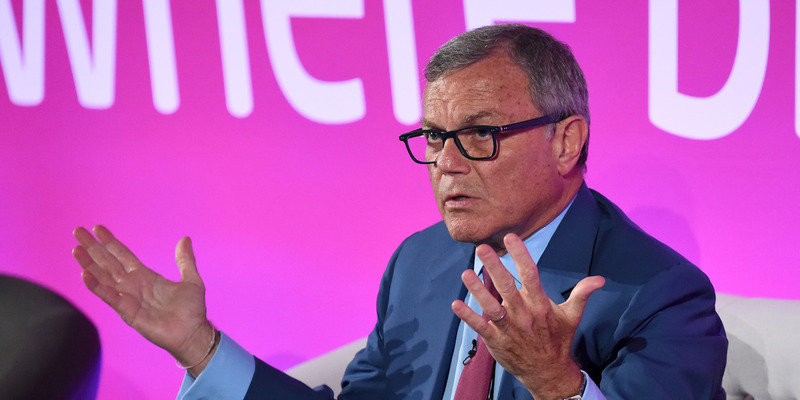 The news that Sorrell was the focus of an investigation into improper behaviour and misuse of assets by WPP’s board first broke in early April. He resigned 10 days later, denying the allegations. Six weeks later, he was back in the game, forming a new investment vehicle called S4 Capital, which has raised £51 million and plans to build a “multi-national communication services business” through acquisitions.